After months of anticipation, the wait is finally over. The Crimson breaks down what you need to know before the Harvard admissions trial officially kicks off Monday — and what you can expect to learn before it ends. After months of anticipation, lawyers for Harvard and anti-affirmative action group Students for Fair Admissions will face off before a federal judge at 10 a.m. Monday morning in a weeks-long, high-profile trial that could shape the fate of affirmative action in the United States. 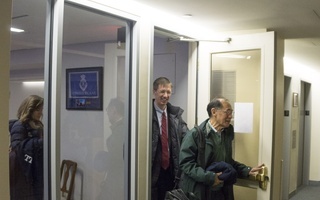 The trial will investigate allegations that the College discriminates against Asian Americans in its admissions process. SFFA charges that Harvard systematically rejects qualified Asian-American applicants in order to maintain illegal racial quotas in its classes. Harvard has repeatedly denied SFFA’s allegations. Administrators as high up as University President Lawrence S. Bacow have strongly defended the school’s consideration of race in the admissions process as key to fulfilling its educational mission. Over the past year, court filings have unearthed many previously unknown details about the College’s famously secretive admissions process. And the revelations are likely to keep coming — as the trial proceeds, lawyers will present evidence and witnesses will give testimony that could offer the public unprecedented insight into how the world’s top-ranked university selects its students. The Crimson breaks down what you need to know before the trial officially kicks off Monday — and what you can expect to learn before it ends. Will new information about Harvard admissions come out during the trial? Documents that may become public include private messages sent between Harvard admissions officers and students’ individual application materials. Both types of filings will likely offer new insight into how the College judges whether high schoolers are Harvard material. At least four students’ files are guaranteed to become public. Four current College students and alumni witnesses have agreed to submit unredacted portions of their admissions files in court. One of these students, Thang Q. Diep ’19, already submitted part of his admissions file in an effort to help Harvard fight charges of discrimination. Three others — Sally Chen ’19, Itzel L. Vasquez-Rodriguez ’17, and Sarah F. Cole ’16 — will do so in the coming weeks. Diep’s filing — peppered with comments and scores from admissions officers and alumni interviewers — revealed Harvard reviewers’ focus on the candidate’s personality, Vietnamese background, and immigrant status. Will everything discussed or submitted in court become public? The vast majority of information canvassed in court will likely become public. In a final pre-trial hearing on Oct. 3, U.S District Court Judge Allison D. Burroughs — the judge presiding over the case — ruled that any documents that lawyers for Harvard or SFFA “rely on” in court must become part of the public record. But she agreed to grant certain exceptions. For example, Burroughs indicated she is amenable to redacting sensitive information such as students’ names. And, given the trial is open to the public, anything said in the courtroom is also public. What evidence do lawyers for Harvard and SFFA plan to present in court? It’s not entirely clear — yet. On Oct. 1, lawyers for both Harvard and SFFA each submitted exhibit lists identifying thousands of documents the lawyers may choose to bring as evidence in court. Broadly, the evidence seems to fall into the two categories listed above: communication between College admissions officers and applicant materials. Who will testify in court? 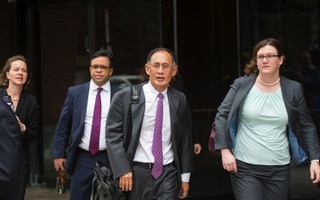 Several of Harvard’s current and former top administrators — including former University President Drew G. Faust, Dean of the College Rakesh Khurana, and former Dean of the Faculty of Arts and Sciences Michael D. Smith — are scheduled to testify in court in coming weeks. Other University officials who will face cross-examination include Dean of Admissions and Financial Aid William R. Fitzsimmons ’67, former Director of Financial Aid Sally C. Donahue, Director of Admissions Marlyn E. McGrath ’70, and several admissions officers and staff researchers. 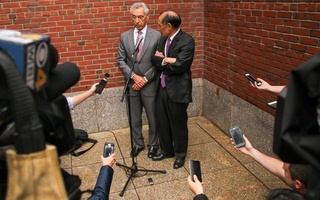 Harvard and SFFA will also rely on the testimony of expert witnesses Peter S. Arcidiacono and David C. Card — economics professors employed by SFFA and the University, respectively. Arcidiacono and Card analyzed Harvard admissions data before the trial and reached opposite conclusions: the former found the College discriminates based on race in its admissions process, while the latter found it doesn't. In addition to the four College students and alumni who are submitting their own application files in court, an additional four have offered to testify in support of Harvard and on behalf of affiliated organizations. These individuals include Catherine H. Ho ’21, Margaret M. Chin ’84, Cecilia A. J. Nuñez ’20, and Madison A. Trice ’21. SFFA President Edward Blum will not testify. Who makes the final decision in the trial? Burroughs is overseeing the case. It will be heard without a jury, meaning she alone has final power to decide. Experts have said that, whatever she rules, the disappointed party — whether Harvard or SFFA — is likely to appeal the decision. Legal analysts say a cascading series of appeals could well bring the case before the Supreme Court. If it comes before the nation’s highest court, the ruling probably won’t go Harvard’s way. The current set of justices skews conservative and skeptical of race-conscious admissions policies — especially after the contentious and tortuous confirmation of conservative justice Brett M. Kavanaugh. If the Court favors SFFA, it could mean the end of affirmative action as we know it in the United States. How will the trial run on a day-to-day basis? The trial — which is expected to last at least three weeks — will run from 10 a.m. to 4 p.m. Monday through Friday. 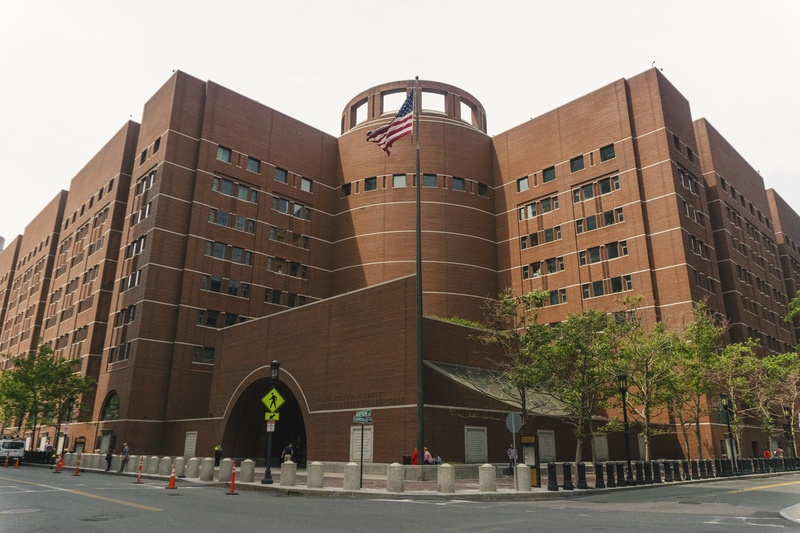 It will take place in Courtroom 17 at the John Joseph Moakley Courthouse in Boston. Lawyers for Harvard and SFFA will take turns presenting evidence and quizzing witnesses called by both sides. Participants will typically break for a long lunch in the middle of the day each day. The spectacle is likely to draw serious crowds. Burroughs has already arranged an extra courtroom to accommodate anticipated overflow. Who will defend Harvard’s race-conscious admissions policies in court? Harvard and SFFA have retained some of the nation’s top legal minds in anticipation of the battle ahead. William F. Lee ’72 — the senior fellow of the Harvard Corporation, the University’s top governing body — is Harvard’s lead trial lawyer. Read full profiles of three of Harvard's trial lawyers here. SFFA's trial lawyers — hailing from the firm Bartlit Beck Herman Palenchar & Scott LLP — include Adam K. Mortara, J. Scott McBride, Krista J. Perry, John M. Hughes, Katherine L.I. Hacker, and Meg E. Fasulo. The trial is set to end by mid-November, but it may take Burroughs several months to issue a final ruling. Experts have said a decision in the case will likely come in spring 2019. Still, Harvard and SFFA’s desire to appeal — and the looming threat of the Supreme Court — all but guarantee the trial won’t really end anytime soon.